These panels are manufactured from weatherproofed 18mm thick Finnish birch ply coated with a UV resistant polypropylene laminate , which can be used with dry wipe markers to mark out routes. The distance between the two panels can be varied depending on the height of the users. Installation can be onto any solid wall. Each pair of panels is supplied with 50 pre-fitted Holds, and 2 spare holds). The fittings supplied are for installation in brick or breeze block. The top panel measures 2400mm x 600mm (8’ x2’) and the bottom panel is 2400mm x 400m (8’ x1’4”). 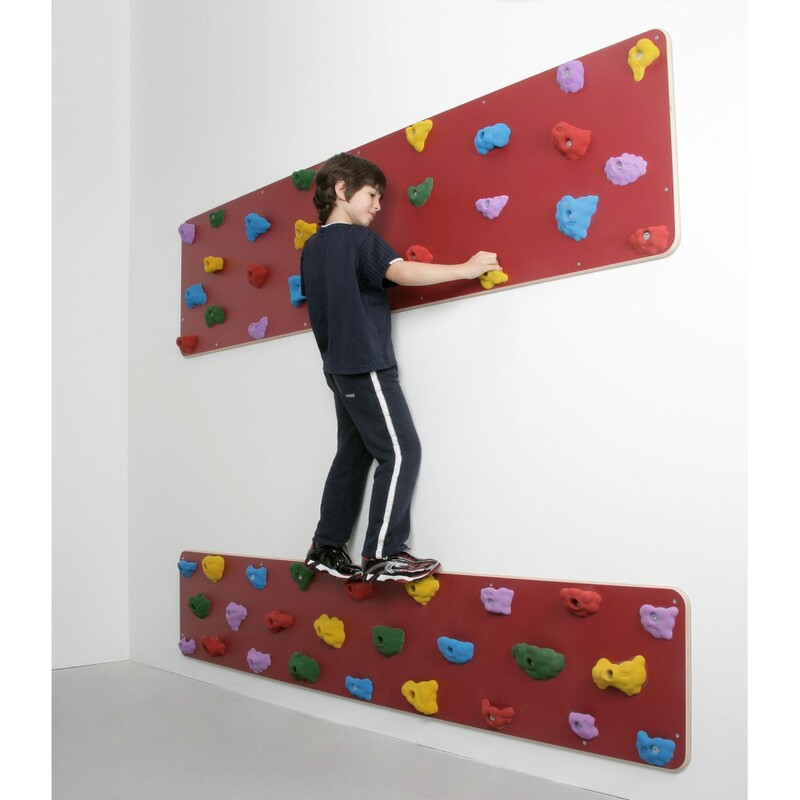 Following the success of the Outdoor Traverse Panels and by popular demand, Niels Larsen is now able to offer an indoor version. In order to make thes..